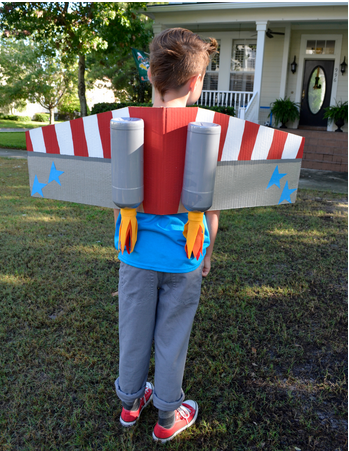 Two Halloweens ago, Scholastic.com hired me to make them some costumes out of cardboard. 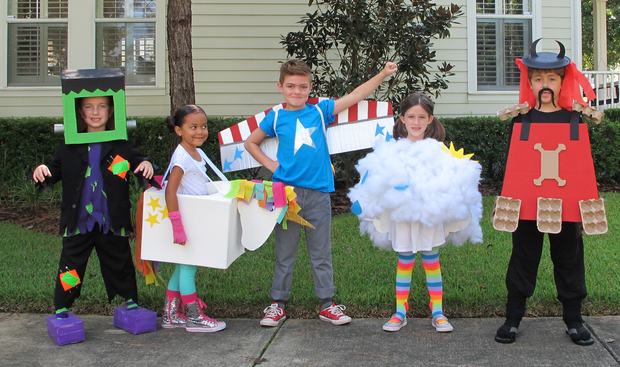 Here are five cardboard halloween costumes that I designed for them. I loved making these. They were all so different, but fun and not as complicated as you’d imagine. 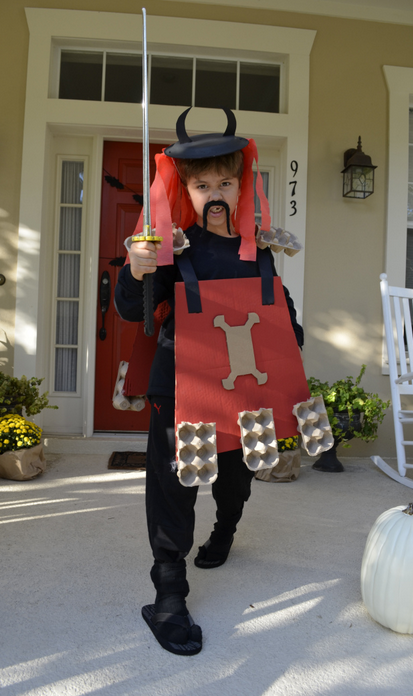 Kai is the samurai warrior. Click here for the instructions. I love that he is missing one of his front teeth. He looks so authentic. haha. Kai is now a black belt in taekwando and at the time he was just six months into it. So, I thought it’d be perfect to cast him as the samurai. Back to the costume, I love it because it’s so cool from the front and the back. I love the star element and how’s it’s shown on the front and back on the wings and shirt. Next is Taylor. This little unicorn has such a beautiful and big personality. She’s one of the sweetest children you’ll ever meet. It was so hard to pick the best photo, she had so many. While we’re talking about rainbow unicorns, check out this rainbow unicorn party my bff threw for yourself last year. It was a dream of hers come true. 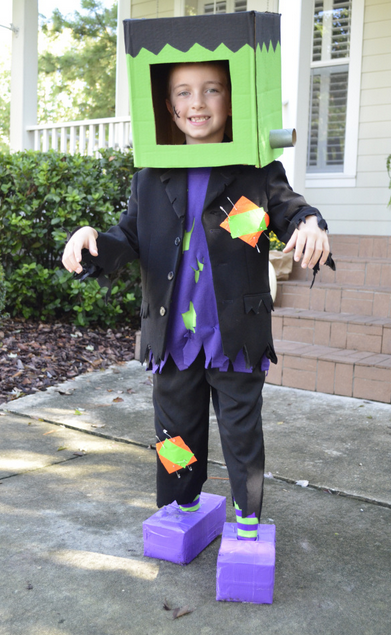 Jack made an awesome Frankenstein. This was a fun costume to make. I found an old suit at Salvation Army so I didn’t feel bad about cutting it up. I used duct tape as the patches. The head was made with a cardboard box and the I cut toilet paper rolls in half and attached to the side. 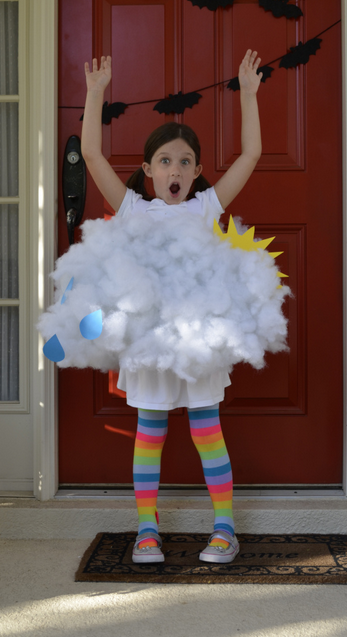 Although Lily is a Rain Cloud, she has such a joyful and happy personality. 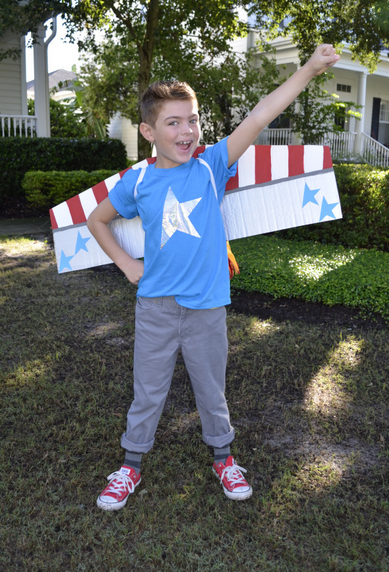 Basically all you do for this costume is hot glue polyester stuffing to a cardboard box cut into a cloud shape. 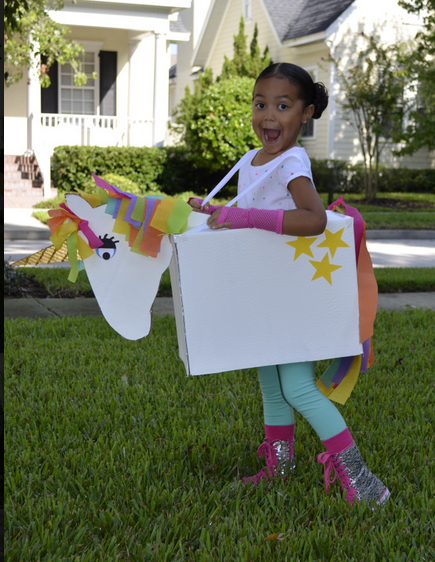 Add rainbow socks to add a fun touch to the costume. Click here for a complete tutorial.